So, now that I'm in Sacramento surrounded by beautifully wide, paved, flat streets, bike lanes and sunshine, I have decided to join the ranks of the bikeys that I so deeply admire (yes, Rebecca, Rachel, Lagusta, etc., this would apply to you). 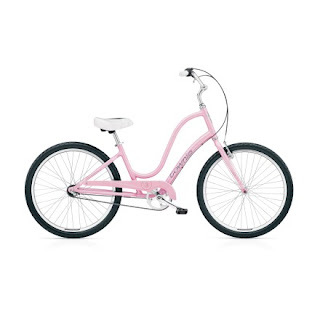 But, because I'm still me, I'm facing the difficult dilemma of exactly what color/style bike to purchase. It needs to be skirt friendly, needs to have great options for baskets, bells, streamers, etc. and it needs to be classic. 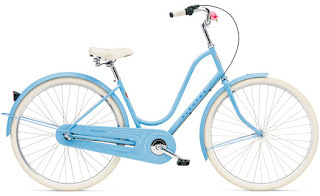 I've pretty much settled on an Electra because they are so beautiful and perfect and there are a lot more color and design choices than Schwinn currently offers. The fenders on nearly every model and skirt guards on the Amsterdams are also a HUGE incentive. Plus, Electra is my Aunt's middle name, so that's cool. The Alexander Girard 3i Tree of Life Amsterdam. So beautiful and probably the most expensive choice, but there simply are not words for HOW MUCH I LOVE THIS BICYCLE!!! 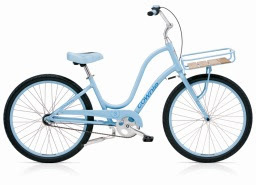 The Holiday 3i Townie... 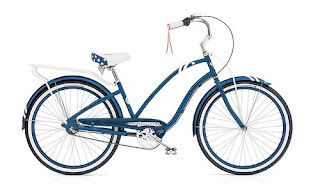 I love the front basket but there have also been some safety problems with this model. Apparently, the basket can separate from the rest of the frame and make contact with the front wheel, causing injuries such as "bruises and scratches." Which, in my world of perpetual bruises and scratches, would probably mean sudden death. The Original 7D Townie... not my hugest favorite, but I'd certainly be happy with it. 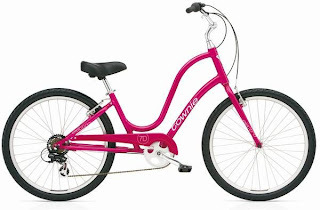 The Townies seem to have some bolder color options than the more pastel Cruisers. The Original 3i Townie... again, I'm not going to fall down and marry this style, but it's nice. 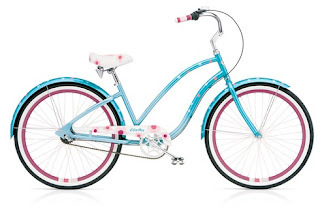 The Jenny 3i Cruiser... fun design, love the dots. The Navy 3i Cruiser... I'm crazy about this one, although I'm not sure that it matches enough of my wardrobe? I have been increasingly obsessed with everything sailor, but it doesn't negate the fact that I have a lot of prissy, pastel flowery things. Will they work with this?? I'm not sure... I just might not be cool enough to pull off the Navy. The Gypsy 3i Cruiser... the Gypsy is super fun and I love the accessories available for it. In a lot of ways, it is *similar* to the Girard Amsterdam, but will probably be much closer to my price range. 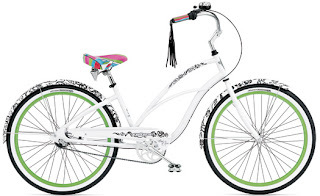 The Blanc Et Noir 3i Cruiser... this one is definitely beautiful, but I think it'd be better for me if it had the black and white floral without the green accents and multicolor seat, etc. OOH! Well, in the spirit of full disclosure, I'm not much of a biker. If I ride once a week it's a victory. Partly that's because I have 2 bikes and both have issues. Bike #1 is so so so gorgeous. 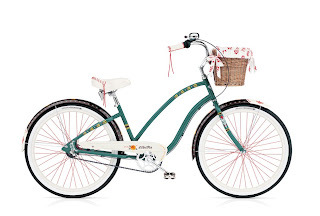 She's a 1960s Schwinn, all fat tires and baskets and cruisy happiness. She also weighs like 40 lbs and has only hand brakes. The rail trail is not so great for her. My other bike is a 1990s Schwinn, a workhorse and not very pretty. Guess what bike I ride, when I ride? Of course, the pretty. Which makes riding a real chore. So I envy you! It looks like you're going to get the perfect combination of both: good looks and rideability. I really love the first one. You'll be so happy if you get the one you truly adore---and you'll ride it more! Happy that you want to pedal! They cost more, but you will want to ride them for life. I promise! Jason is in the market for a bike, too, and I will send him those links. The bikes look great!!! Congratulations! Pedal slowly and enjoy the scenery! 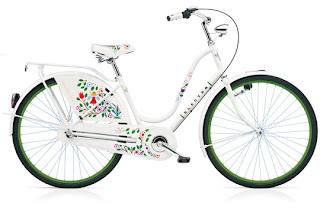 haha i have that tree of life bike and it is fantastic! so comfy and suprisingly fast.